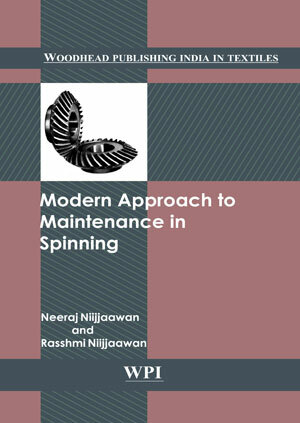 Modern Approach to Maintenance in Spinning is a simple and accessible guide to the knowledge required to fulfill the role of a maintenance manager in a textile mill. Covering the complete maintenance management program, the book will give a basic all-round understanding of even the small spare parts used in the machineries of spinning mill; hence it will be very useful for the shop-floor technicians also. Students of diploma and degrees of textile technology will find that the fundamental principles of the subject are explained in the simplest way for proper understanding. The book will be helpful for them as a practical guide when they join textile manufacturing unit. Neeraj Nijhawan is an industrial engineer with extensive hands-on, meticulous, bottom line-oriented experience of over 17 years in managing and delivering high quality spun yarn products. Presently, he is working as an Astt. General Manager (Technical) in a textile mill in Indonesia.